<span style="font-family: " lucida="" grande",="" "lucida="" sans="" unicode",="" sans",="" geneva,="" arial,="" sans-serif;="" font-size:="" 12px;="" background-color:="" rgb(255,="" 255,="" 255);"="">Gorgeous Detached Bungalow W/3+2 Bdrm, With Walk-Out To Yard & A Finished Basement W/Separate Entrance. Great Family Neighborhood. Spacious Eat-In Kitchen. Laminate Floors Thorugh-Out Main Floor. A Lovely Home, Close To Cedarbrae Mall, Ttc, College, Hwy 401 & All Other Amenities. Want to learn more about TORONTO (Woburn)? I would like to learn more about TORONTO (Woburn). 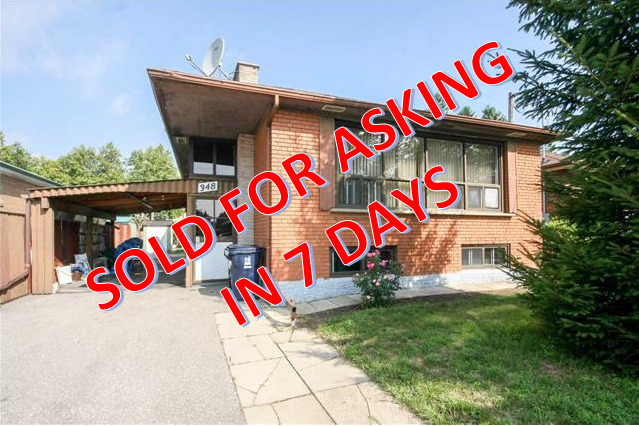 After TWO attempts at a private sale fell through, Market Master Team was able to sell my home in under 14 hours when it was most needed! Would highly recommend this Team to anyone looking for hard working, honest, and highly professional Realtors. Thank you so much for doing such a great job!